A favorite destination for travelers from all over the world, The Henry Derby House which was formerly operated as a B&B and was recently converted into a full house rental in 2016. This historic home is perfect for families or large groups traveling together looking to explore downtown Salem. The house is centrally located in walking distance to all of Salem's attractions, but off the beaten path not in the middle of all the action. There is plenty of gathering space for large groups including a sitting room, dining room and large family room all on the first floor. There is an updated kitchen with new appliances and granite counter tops, as well as two full baths on the first floor. There is four bedrooms with five beds on the second floor with 2 more full baths, and two more bedrooms and a small playroom on the third floor. The third floor is best suited for children or smaller guests because of the low sloped ceilings but is very cozy. There is wifi throughout the house and a high def TV in the family room. There is also a working pellet stove in the family room which makes it a very cozy gathering space for the winter months. I am a letter carrier in Salem, MA and have been there for about 15 years. We inherited the B&B from my mother who converted our family home into a B&B in 2001. We also own and operate the John Edwards House, which is another vacation rental property located right next door. 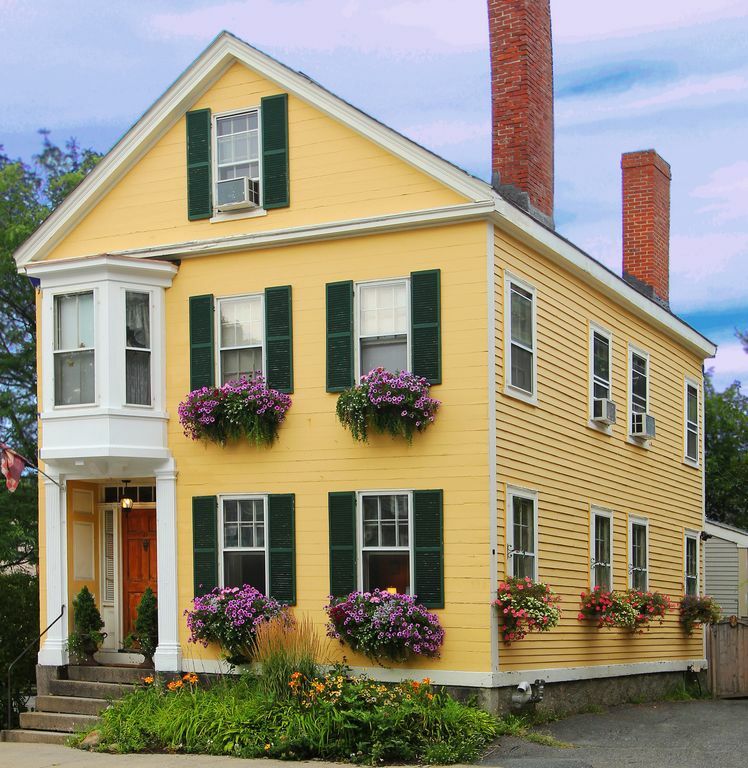 I am dedicated to maintaining these properties and making them a home away from home for travelers looking to visit Salem. My parents bought this house in 1978 from my great Aunt and raised our family here. My mother decided to convert the home into a B&B after my sister and I had moved on to college. She loved the business and enjoyed meeting people from all over the world and sharing stories. My wife and I took over the B&B when my mother passed away in 2012 and did our best to keep the same warm feel to the home. With one child now and another on the way we decided that the B&B was too much work for our growing family and decided to convert the home into a full house rental. We are certain that families will love staying the Henry Derby House just as much as we did! The unique character of the home makes staying at the Henry Derby House a different experience than your usual hotel stay. Built in 1840 this historic home has seen many transformations over the years but still has maintained the original character of the Greek Revival style home. The proximity to downtown Salem makes it a perfect spot for large groups traveling together to travel to Salem and have their home away from home. We are located in the McIntire District of Historic Salem. We are steps from the Witch House and Chestnut St. Walking distance to all of the attractions in downtown Salem, and the commuter rail. Window units are installed for the summer. There are 2 dining ares on the first floor. The dining room seats 6, but there is also a larger dining area in the family room that can seat up to 10. We are located in the McIntire District of Historic Salem. We are closest to the Witch House and the Gedney House, but also walking distance to the Salem Witch Museum, Peabody Essex Museum, and House of Seven Gables. We are also very close to wedding venues like Hamilton Hall, the Hawthorne Hotel and Salem Waterfront Hotel. Families visiting will also like to visit the Salem Willows which is only about a 5 minute drive. The Salem Commuter Rail and Salem Ferry also make for easy day trips into Boston. Other day trips people enjoy are up the coast to scenic Rockport or Gloucester.